It rains the entire bus trip from Newquay (where we're staying) to Padstow (where we're hiking), but stops just as we arrive, at which point the sun blasts through the clouds. This happens to us a lot in England and we are grateful. We're with Susanne again for the first few days of this trip. Her son is getting married on the beach in Newquay, which is the surf capital of Cornwall (who knew?) 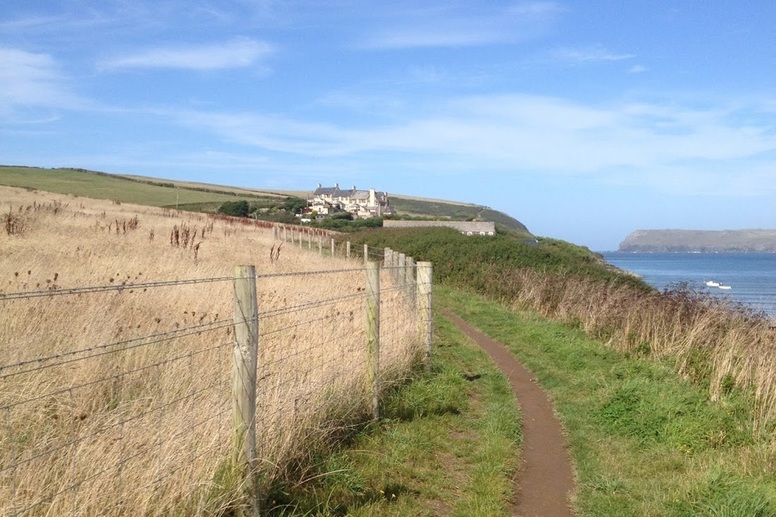 and through which the coast path meanders. Susanne is as eager as we are to get on the path. 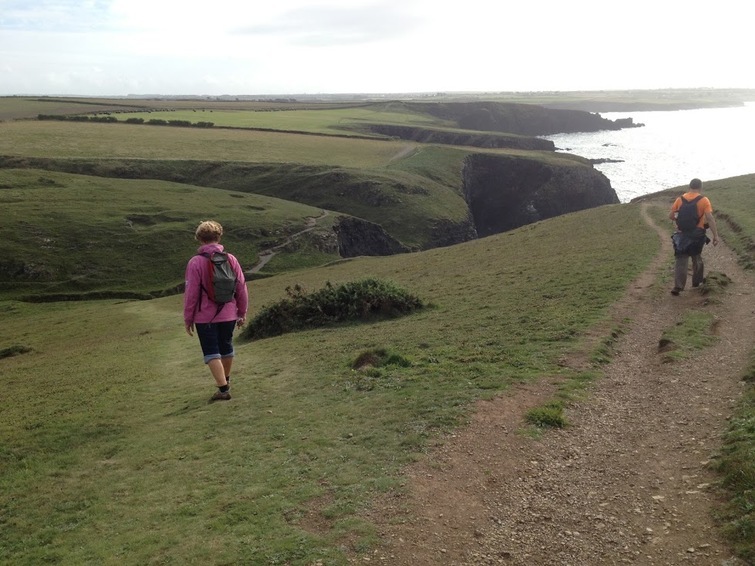 It's an easy-going trail that wanders across fields and through tall grass and wild flowers. 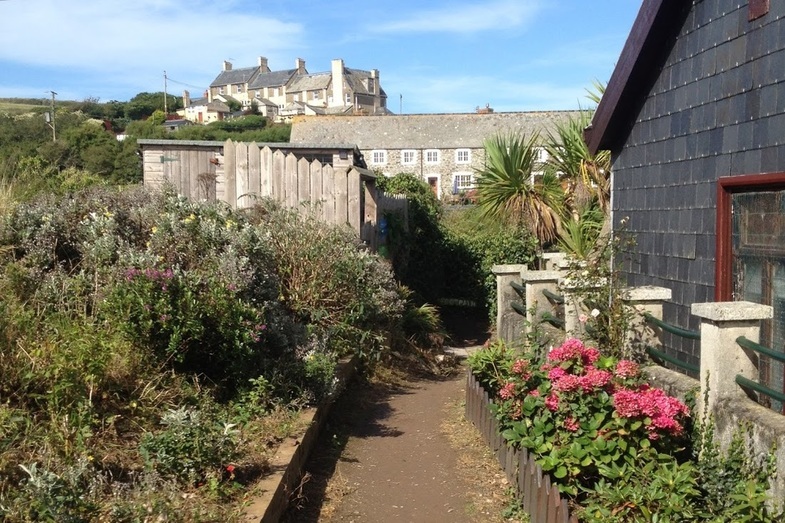 It also runs right though the garden of this house. How cool is that? Susanne is heading left to the main path, while Bob continues his reckless habit of walking straight out to the very edge of the earth, just to see what's there. The grass ripples and billows and rolls like the sea. That's where we're heading, and we're all happy to see it, hoping it contains cider and tea and food. 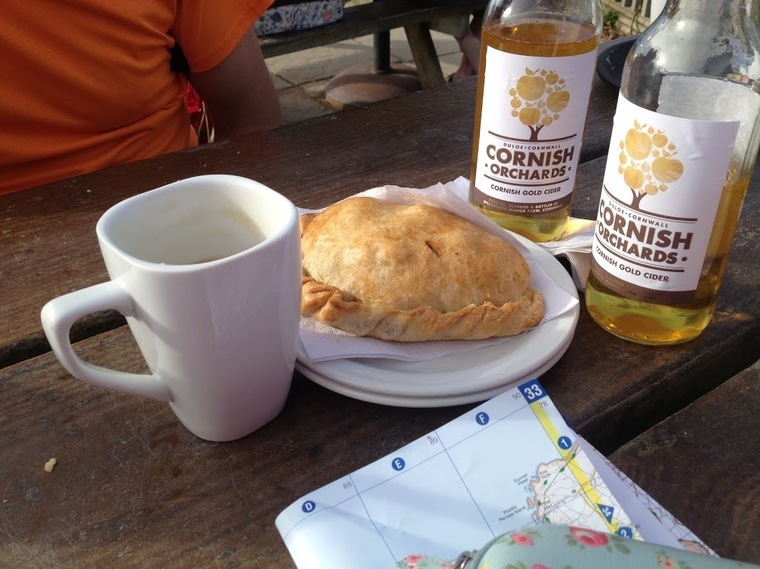 I have tea, Bob and Susanne have ciders, and we all have pasties. Our next step is to find the bus stop, which is—as almost always—up a hill.